Hello Chris!! Hope you are well, my friend! The new website looks great! Still spinning your great tunes on EMM Radio. You should send me the new single so I can give it some spins and add it to my STS report. Stay in touch buddy! You're an amazing singer/songwriter that I hope soon everyone will know and love as well. 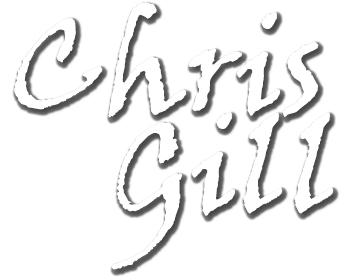 Hi Chris...thanks for the opportunity to release your new single, "GOTTA LOTTA LIVIN' TO DO" in the USA. It is beyond AWESOME, my friend!!! I look forward to hearing much great success with this song and I think people everywhere will LOVE IT!!! You are the BEST artist around and it is a great honor and privilege to know you and call you my friend. Keep writing those AWESOME SONGS and never give up. YOU ARE THE STAR ABOVE ALL STARS!!! Just wanted to let you know how much I love "Gotta Lotta Livin' to Do". I think you will have great success with this new release. I also love "Tell Me How" and all your songs. Wish you well in Nashville! Chris, love your music. Best wishes for your success. "Gotta lotta livin to do" is awesome! Had a great time working with you the other day! Loving the music and cant wait for the new CD! You are without a doubt consistently great at what you do. It is evident that your past feelings and experiences show through your lyrics, instrumentals and vocals. Well done, can’t wait to hear the album! Chris writes and sings his music from the heart! What a great sound, all the best with your music career Chris!! Have enjoyed listening to your CD! And have been playing cuts off it on my radio program, Cal's Closet on CFTA 107.9 Amherst and on-line at, tantramarfm.com!